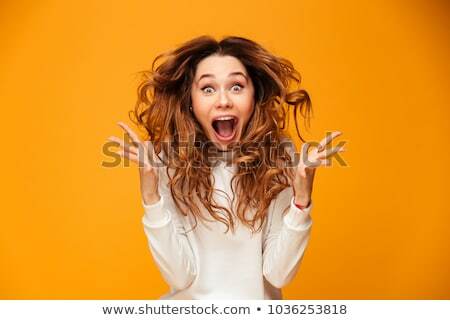 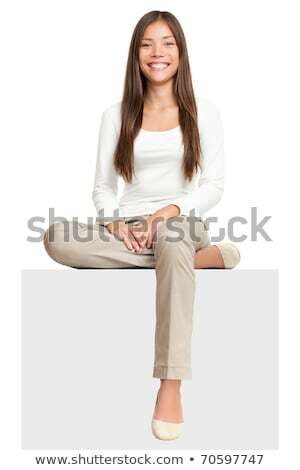 Foto stock: Mulher · isolado · assinar · mulher · sorrindo · em · pé / Sign woman smiling standing isolated. 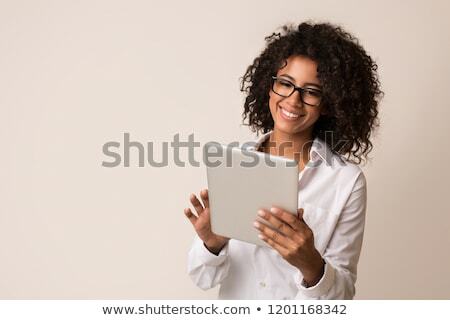 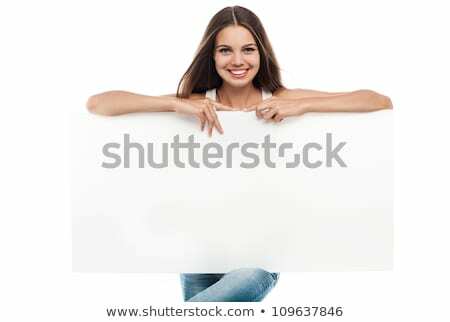 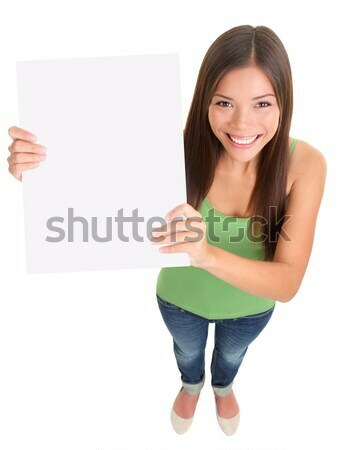 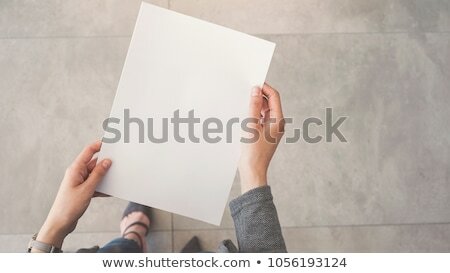 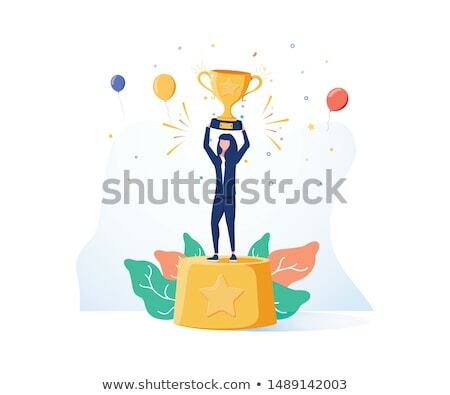 Top view of multi ethnic girl showing blank empty sign board with copy space for text message etc. 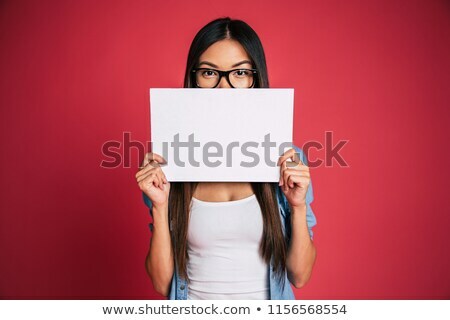 Pretty female mixed-race asian Caucasian female model cut out in full length on white background.